Scale the wall to the Fort being careful on the pivoting bridge & then slide down the chute to victory! 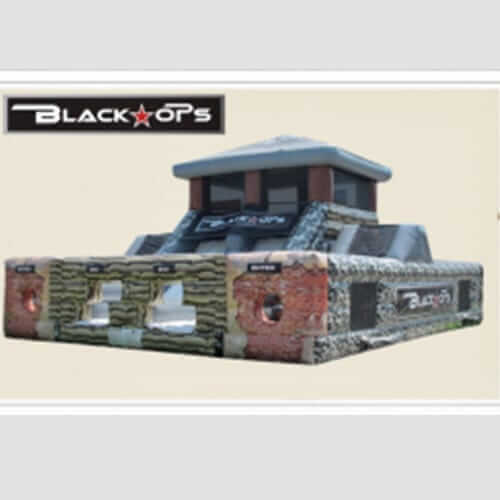 BLACK OPS OBSTACLE COURSE – Your military obstacle course rental in camouflage colors. Troops, Your Mission is to take the Fort. Each team will enter the narrow pathways full of squeeze through, stone pillars, & passage ways in order to get to the rock wall. Look no further than this behemoth. 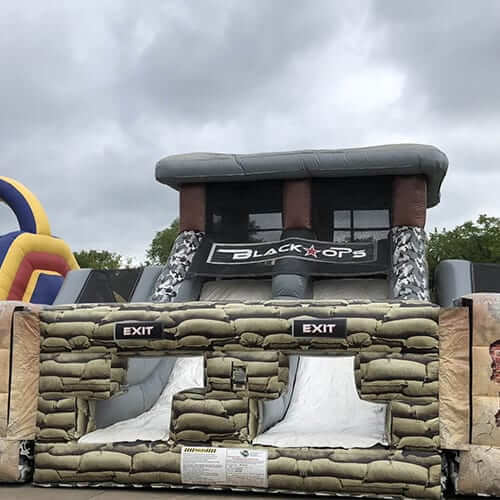 This giant obstacle course rental is perfect for those events needing a WOW Factor.